Dear White Ribbon Supporter are you ready to participate in the 2016 campaign? In November we launch our campaign to eliminate men's violence towards women, focusing on Respectful Relationships. This campaign will build on the success of 2015 and this year we also hope to give dads the confidence and skills to educate their children about respectful relationships and respectful sexual relationships. Thank you for joining us on this kaupapa, your support is appreciated. We are delighted to welcome Cam Ronald on-board as our new White Ribbon Advisory Committee Chair. Cam brings a wealth of experience, having led the New Zealand anti-violence response in the Pacific for the New Zealand Police. With Judge Boshier accepting the role of Chief Ombudsman, his last act as chair was to find someone who could fill such big shoes (our words not his), and we are delighted that Cam, a current Ambassador was persuaded by Judge Boshier to accept the role. To find out more about Cam Ronald, please click on the link. White Ribbon has replaced the wording of the current pledge with something that succinctly describes what White Ribbon wants men to do, that builds on men’s goodwill, harnesses their responsibility and conveys a sense of being part of a larger, collective movement. Approaches to men are more effective if they are positive as opposed to focusing on guilt, shame or fear. This involves: showing positive examples of equitable, non-violent behaviour; strengthening current non-violent actions, attitudes and values; and framing discussion in terms of men’s responsibility. A humane, empathetic and positive approach can foster more meaningful and long-term change than invoking fear, shame or guilt, which can alienate some men. Page 16, Baker, G. (2013). Effectively involving men in preventing violence against women. Auckland, New Zealand. While the new pledge is essentially an individual declaration, men will be attracted if they get a sense that other men are taking similar action and they are joining a collective movement. This is consistent with White Ribbon’s strategy of using social norms to change behaviour. Also, appealing to men’s values and ethics is a proven violence prevention approach and this is reflected by focus group participants wanting to be “on the side of what’s right”. White Ribbon will announce this in the media in November but we thought that knowing this change would be beneficial to all White Ribbon Supporters. You can download the new graphics here. The Pledge, The Pledge Inverted. This year we have something extra special. Hollie Smith, one of New Zealand's most predominant & iconic musicians is writing and recording a song for White Ribbon. After working with numerous bands including Trinity Roots, and Fat Freddy’s Drop, Hollie was approached by NZ songwriting royalty Don McGlashan to perform on a movie soundtrack single ‘Bathe in The River’ that topped the New Zealand singles charts and became one of the biggest and iconic singles in New Zealand history. She has six albums, three of which have gone number one! For Hollie's touring dates in September and October click here. Launch of campaign with Hollie Smith releasing a White Ribbon song and video, and launch of the new White Ribbon Pledge online. Sunday 13th - Two-week national poster campaign begins. 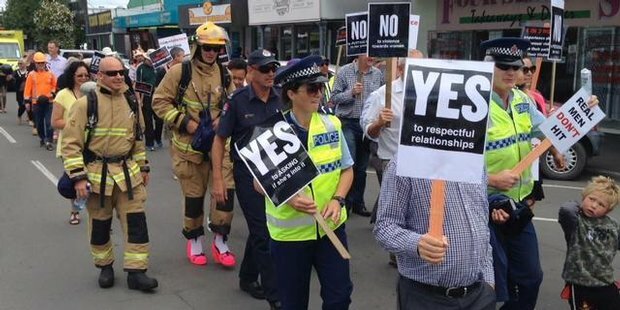 This is the yes/no campaign mark II, placed throughout New Zealand. Posters and other collateral available to communities. Release of research on men’s attitudes towards respectful relationships and educating their children around respectful relationships and respectful sexual relationships. White Ribbon Rides begin across the country visiting over 80 communities. Week of action with the Warehouse providing free ribbons to all customers during this week. 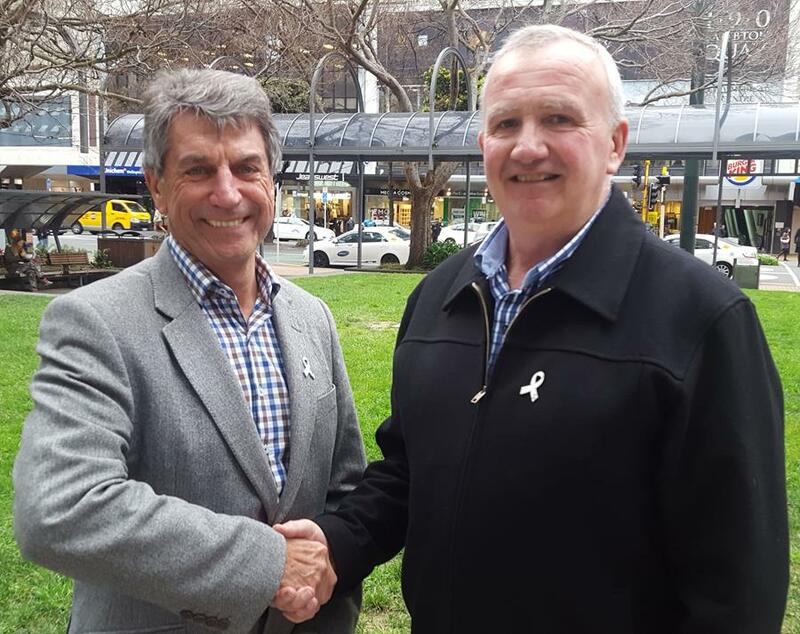 Organised action across the whole country to ensure White Ribbon Day is reported throughout NZ. This year the South Island Ride begins in Picton and heads down the West Coast right through to Invercargil, then up through Central Otago across to Oamaru and finally up SH1 to Christchurch and back to Picton. This ride is now fully booked (so we can not offer any accommodation), but riders can still participate. The Lower North island Ride begins in Palmerston North traveling through the Kapiti Coast to the Wellington region before heading up to Hastings and Napier where they will meet up with the other North island Riders before riding across to Whanganui for White Ribbon Day. The Hauraki Region Ride travels from Hamilton inland to Taupo before heading to Napier and then up the East Coast to Gisborne and across to Tauranga, and completing the ride in Rotorua. This year there will also be an Auckland Ride traveling to some of the larger events and to a range of schools in the Auckland Region. Resources will be available for delivery in October, but you can order resources now. The resources this year include: Posters, Flyers, Cloth Ribbons, Metal Ribbons, Wristbands, Temporary Tattoos, Window Stickers, Cuff links and Balloons. 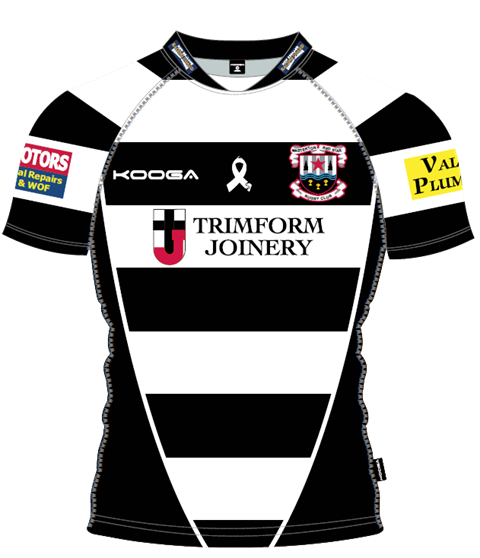 Click here to go to the White Ribbon Shop. Have you started planning your event this year? If not, here are some great low cost ideas that you could organise in your community. Click here to find out more. And please let us know what you're planning so we can add it to the 2016 events calendar and promote the event on Facebook. Send us your event details here. 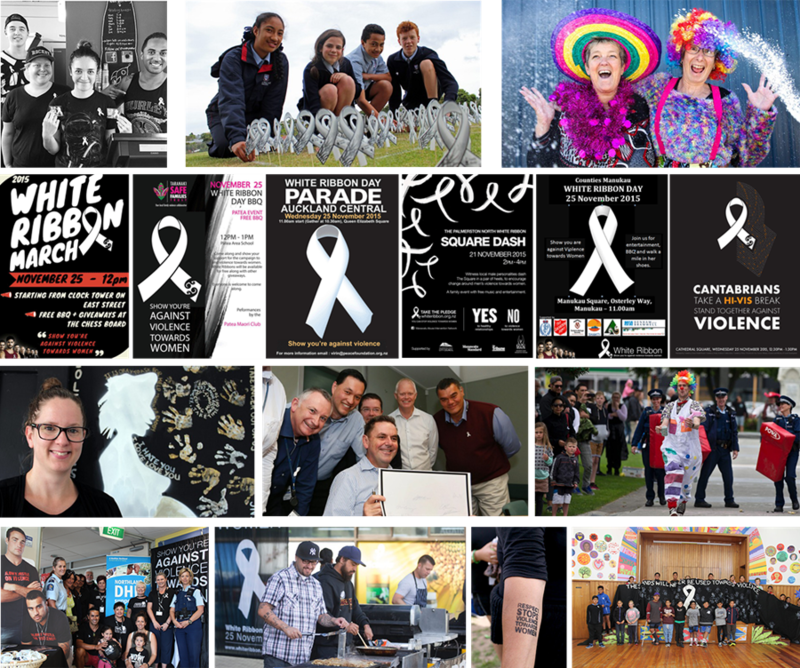 White Ribbon would like to say thank to all the people who have been supporting the kaupapa by fundraising or promoting the cause while doing things they love, or undertaking difficult and challenging tasks. If you think you can help please contact us. 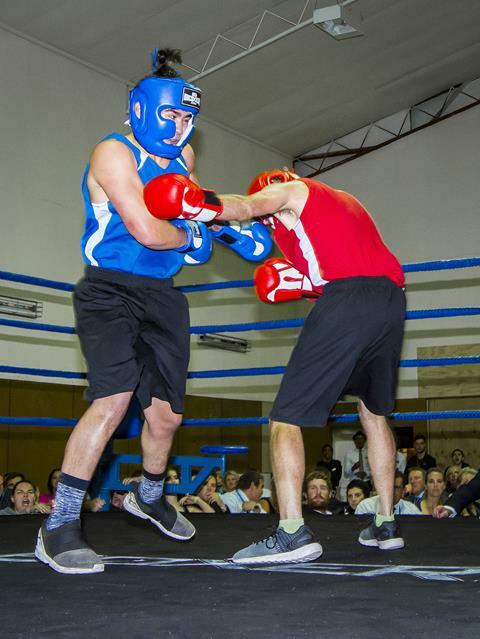 A huge thank you to Chance Watene who chose White Ribbon as his charity cause when winning a boxing event in Franz Josef. A big thumbs up to the Masterton Red Star Club who have placed the White Ribbon on the front of their senior club members' jersey to help promote the kaupapa. 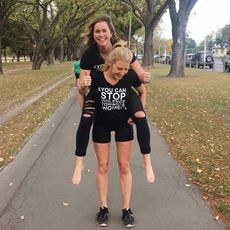 Rosie and Emma ran the Christchurch half marathon on the 5th of June to raise awareness and funds for the White Ribbon Campaign. They raised over a $1,000 via Everyday Hero. Click here for more details.